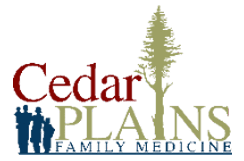 If you are interested in applying for one of these positions please send your Cover Letter, Employment Application, and Resume to mspohn@cedarplainsfm.com. A new, state-of-the-art medical practice is looking for a fun, friendly, fast-paced Certified Medical Assistant ready to work diligently to the growth of the practice. A candidate that fits in the practice will need to be detail-oriented and creative. A successful candidate will thrive in a fast-paced environment, be professional and courteous, and maintain a smile through it all. The owner values personal growth and professional development and appreciates an individual’s enthusiasm, collegiality, integrity, and reliability. Seeking a very organized, assertive, and responsible individual who is skilled in making sure the customer feels appreciated. These skills are necessary. Additionally, a candidate would need to have the ability to think and react to events effectively and swiftly. Computer literacy and typing proficiency minimum 60 words-per-minute required. Active current certifications and minimum 1-year work experience recommended although willing to train new graduates. Radiology Technician ready to work diligently to the growth of the practice. A candidate that fits in the practice will need to be detail-oriented and creative. A successful candidate will thrive in a fast-paced environment, be professional and courteous, and maintain a smile through it all. The owner values personal growth and professional development and appreciates an individual’s enthusiasm, collegiality, integrity, and reliability. Seeking a very organized, assertive, and responsible individual who is skilled in making sure the customer feels appreciated. These skills are necessary. Additionally, a candidate would need to have the ability to think and react to events effectively and swiftly. Computer literacy and typing proficiency minimum 60 words-per-minute required. Active current certifications required. Limited Radiology Technician preferred but willing to train. Minimum 1-year work experience recommended although willing to train new graduates.